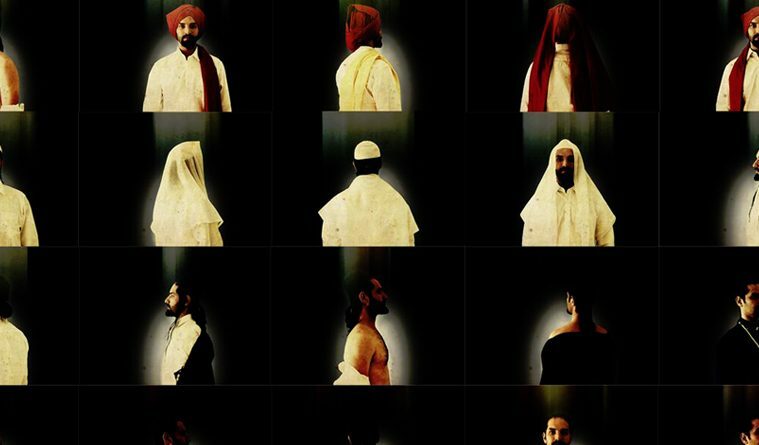 Mahmoud Obaidi, Dress Code (Screen Capture), 2011. Video installation. Image courtesy of Deborah Colton Gallery. No institution in the contemporary art world is met with more ambivalence than the art fair. Masses of well-heeled collectors, artists and casual gawkers crowd the velvet ropes, but (among the artists at least) there is a nearly universal collective eyeroll induced by the mere mention of such an event. In advance of Houston’s two impending fairs, the Houston Fine Art Fair (HFAF), Sept. 9-12 and the Texas Contemporary, Oct. 1-4, a reasonable question is why, and a follow up? What can be done about it? Presumably galleries stand a good chance of recouping their booth fees and transportation and insurance in just a few whirlwind days, and the artists must benefit financially, too. So what merits our sense of disdain? It’s fairly easy to define the primary “beef” among most serious art makers. A fair’s propensity to value sparkle (and I mean this literally, haunted as I still am by a particular headless rhinestone horse that graced the entrance to the HFAF two years ago) over substance and its celebration of conspicuous consumption leave many artists queasy. The whole idea of art being hawked in the same cavernous exhibition hall that promotes a never-ending stream of gun shows, oil trade shows and Christmas kitsch-ery offends our taste. Trained as we are in the total aesthetic experience, we are not fooled by the strategically placed Eames lounge-areas and the tinny lighting. Fairs flaunt the part of the art “world” that we try most to ignore; and they are a particularly biting reminder that to many; art is just another product. Mat Kubo, No Talking, Just Typing, Performance. Photo courtesy Art League Houston. Being fervent worshippers of museums, we find comfort in those systems of display, and are jarred by the flimsy approximations of white-walled repose found at art fairs. The climate controlled, architecturally superior spaces offered by museums offer us hope: hope that our own work might be thusly appreciated; handled with white gloves; conserved for all time by lauded academics. This is ironic because museums are no less intensely moneyed than fairs, with engraved walls and wings dedicated to wealthy donors. But it points to the big difference between the slow accumulation of money over time as opposed to a capricious three-day shopping spree. At the root of the artist’s upturned nose is the real issue: an unreliable, uncomfortable relationship with money. In our formative moments (often during the MFA application process as we stare down the barrel of a new FAFSA form) we convince ourselves that there is such a thing as a moral high road-that we are choosing meaning over money, after all, a thing as base as financial capital shouldn’t prevent the furthering of the human discourse of ideas. We’re simultaneously aware of certain brutal truths: that most artists never live solely from the profits of their own work. In many ways the conception of moral superiority that we’ve had to cultivate leaves us horrified when confronted with the frippery of the modern art market, of which the “fair” is the most egregious example. The Houston fairs might be uniquely placed to do something interesting with the form, if they decide to stop looking at the bigger, glitzier fairs as models. Years of under-appreciation by the larger art world makes this city in many ways a “best kept secret” of connoisseurs, collectors, and artists. 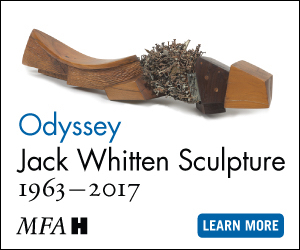 There is a strong history of independent, informed collecting in the city, embodied beautifully by the Menil Collection. And the myriad nonprofit and artist run organizations that define the city’s artistic landscape would do well to use the fairs as a place to highlight alternative programming. 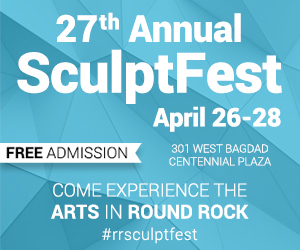 One encouraging inclusion this year will be the Art League’s HFAF booth featuring performances by Houston artists Mat Kubo, Paul Middendorf, and Randy Bolton. All are familiar and active names in the Houston scene, with Kubo’s work in particular defying the traditional “fair” archetype. No Talking, Just Typing is a work Kubo has performed in traditional gallery spaces in the past. 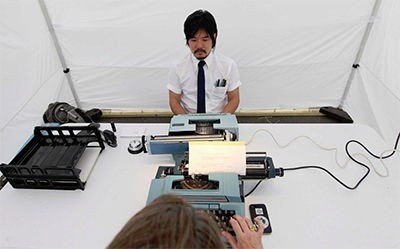 At HFAF, he will be carrying out conversations via old-fashioned type writer with guests of the fair, in a slo-mo, face-to-face version of texting. No Talking… might be just the thing to slow the hummingbird pace of the average fairgoer; Kubo’s hope is that it will, “change the content of the conversation.” Like other artists whose work, as Kubo puts it, represents a “non-monetized art practice,” the agenda is one less tied to individual collectors. In addition this year HFAF will be honoring Clint Willour, a Houston legend, who has been the curator of the Galveston Arts Center for the past twenty years, with a Lifetime Achievement Award. The HFAF might ironically be just the venue through which to communicate artists’ alternative vision. (Rocky Wang took a similar tack to great effect with Alabama Song’s booth last year by playing ping-pong with passersby). In Don Thompson’s definitive work on the quirky economics of the art market, The 12 Million Dollar Shark, the author posits that “Fairs represent a culture change in art buying. They replace quiet discussions held in the gallery with an experience akin to the shopping mall…” Pieces like Kubo’s and the Art League’s inclusion of “non-monetized” art have the potential to change the entire conversation. If we find the proliferation of fairs so irksome as artists, it’s on us to come up with a viable alternative or do what we can within the existing framework to improve it. After all, we’re the creators.